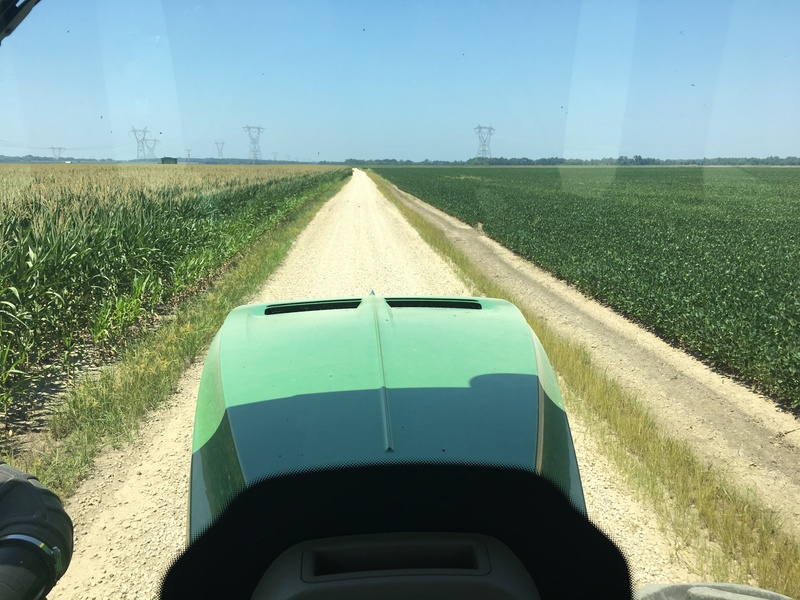 Check another thing off the list… | Carnahan & Sons, Inc.
We had to wait many days to complete the replanting of soybeans. This afternoon, that happened. If you check the post for last Saturday, you see in the aerial photos some bare spots in the soybeans on the Commer farm. Those spots, 10.2 acres in all, got replanted last Saturday. I was hoping to do the replants at the Freddie farm that same day, but there was still water standing. So, those at the Freddie farm got planted today (36 acres in drowned-out sloughs. It was not the river that killed them, but a 3+ inch rain 3 weeks ago). Freddie is our most distant farm location, 12 miles from the main farm, down in the White River bottomlands. As I was returning home after this final replant session, I was passing the Huey farm east of Wheatland–where we store the air drill in the quonset building. So, I pulled in there and John and Brandon met me there to assist with the backing in and the detaching. Backing the air cart and drill into that building is kinda tricky, a tight fit…some would say you need a shoe horn to fit it in there! But now its unhooked and stored inside, out of the sun and rain. The JD 9520R tractor that pulls the soybean drill is now home, and ready for a good wash job! The Weather Channel is giving a 100% chance of rain here on Monday, and we will be pleased if that comes to pass! 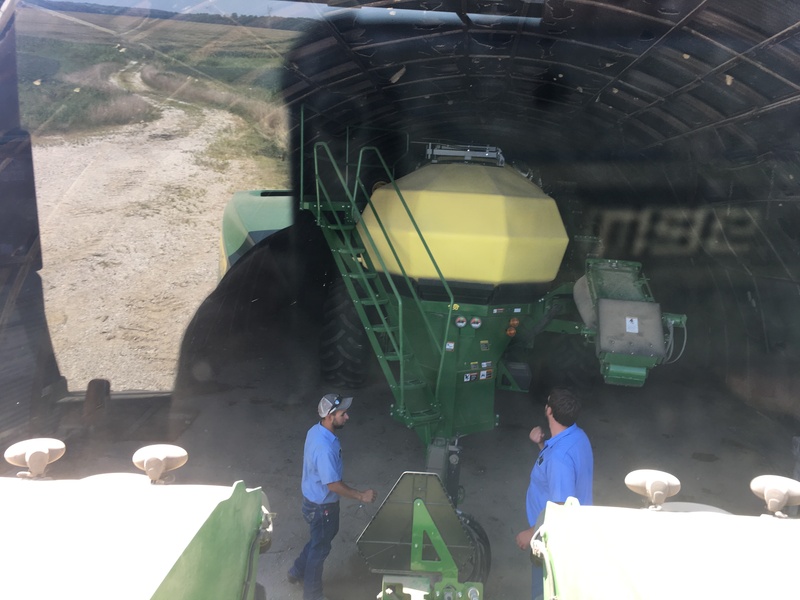 This entry was posted in Farm Days, News, Planting and tagged #plant19, #replant18, air drill, JD 1890 no-till drill, JD 9520R tractor. Bookmark the permalink.